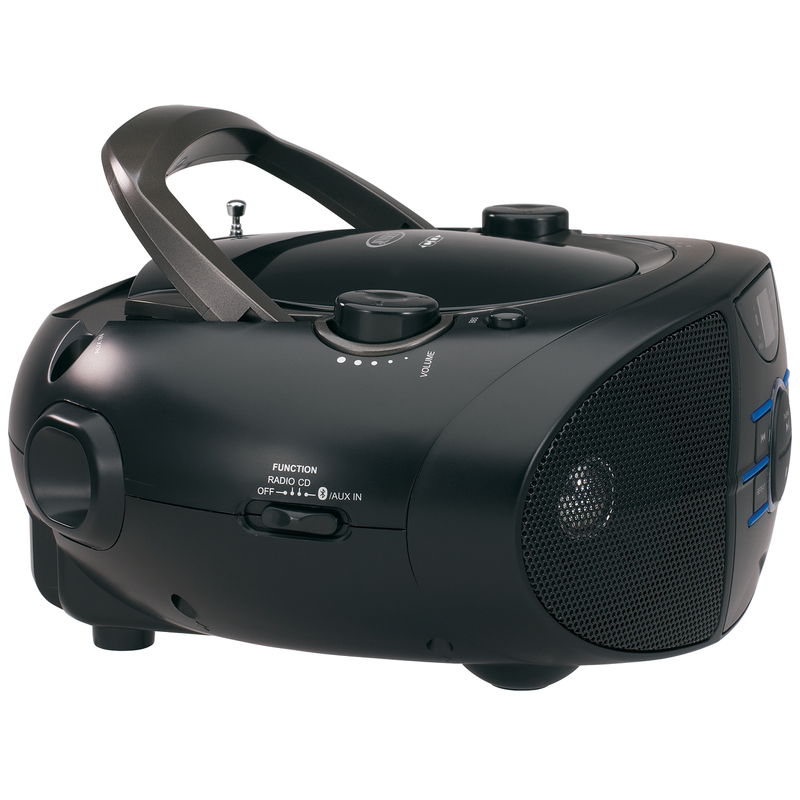 The JENSEN® CD-560 is a stylish portable stereo boombox with Bluetooth® connectivity, a top loading CD player that supports CD-R/RW discs, and AM/FM radio. 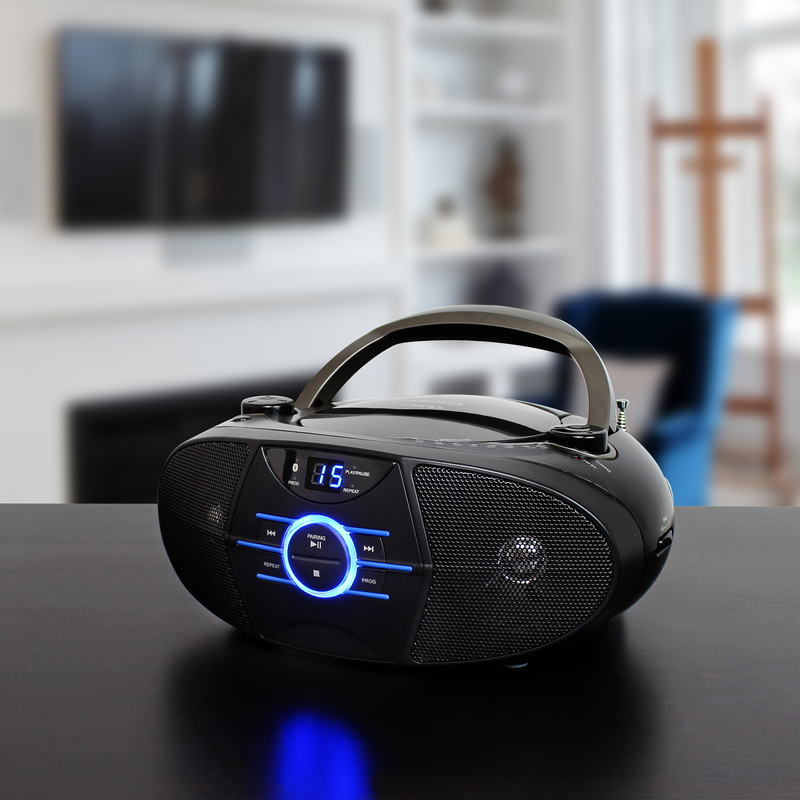 Connect your Apple®, Android™, or Digital Media Player device via Bluetooth and wirelessly stream music or any other audio content to the speakers from up to 33 feet away. The unit also features a blue LED track display for the CD details and front mounted blue ambient lighting. 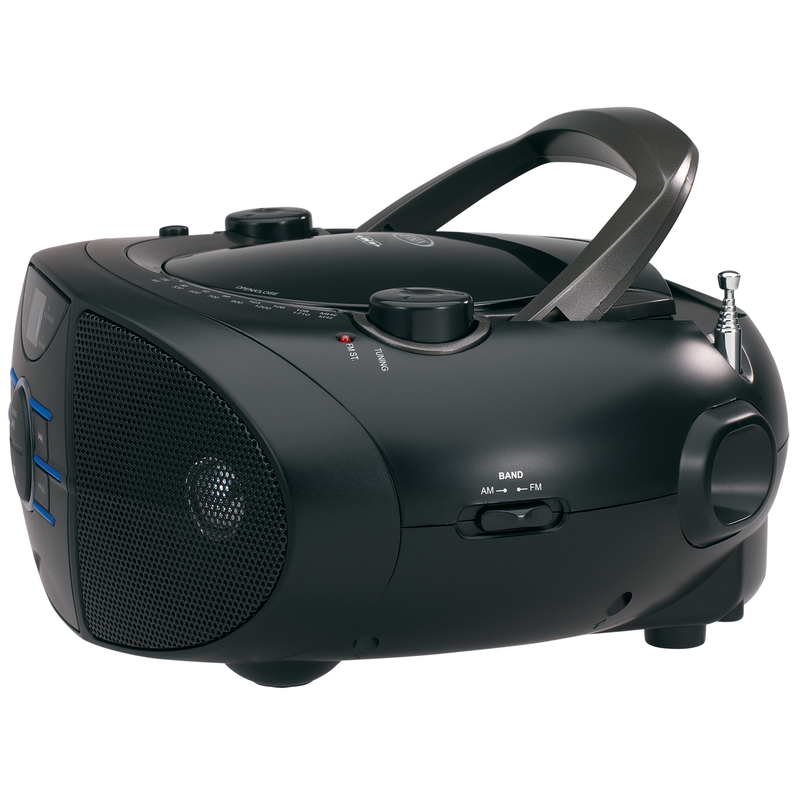 The CD player controls include Skip/Search, Forward, Back, and Repeat buttons, along with Programmable Memory. 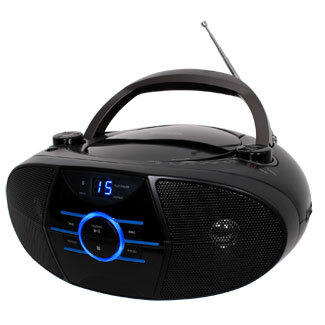 This great, portable compact disc player has a foldable carrying handle, telescopic antenna, and AUX line-in jack for connecting your iPod®, MP3, or other digital audio player. 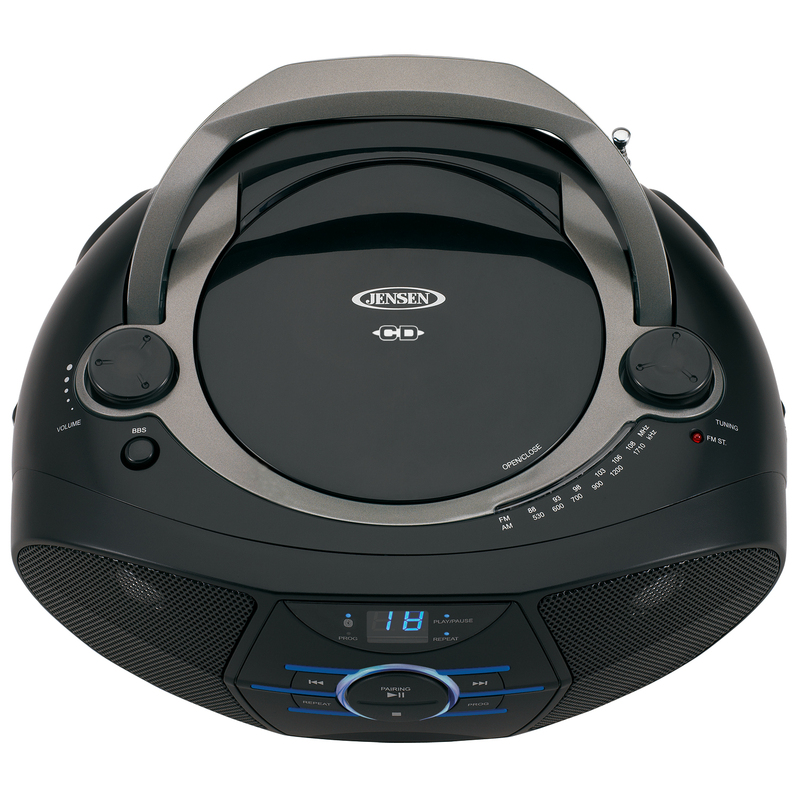 Requires 120V AC/60Hz or uses eight (8) “C” batteries to operate.